[b]New Hampshire Vacations - Attractions in the Mount Washington Valley Four Seasons of Family Fun[/b] We do offer more information on each at our front desk as well as directions. For additional attraction information, including local restaurant menus, directions and maps, click here. New Hampshire Activity Guide New Hampshire's scenic beauty from the mountains, rivers and lakes that make up the White Mountains and Mount Washington Valley. The natural beauty of the area, the state parks and many local attractions make Mt Washington Valley a vacation paradise for couples and families alike. In winter the town is bustling with tourists enjoying the skiing, snowshoeing and other winter activities the area's hotel and lodging tradition is well known for. If you are looking for a great New Hampshire Inn in the White Mountains, then look no further. We are just minutes from fantastic restaurants, attractions, ski resorts and shopping outlets that make the valley a vacation destination. At the same time we offer an affordable and comfortable traditional New Hampshire inn. Cross country skiing, snowshoeing, hiking and biking are all available from our front door. We are only minutes from any of North Conway's nightlife and taverns. Couples and families are all welcome to enjoy the best of the Mount Washington Valley right here at the Old Field House, located on the Intervale Resort Loop (Rt.16A) in Intervale, NH 03845 just 3 miles north of North Conway village. If you are planning a vacation to North Conway or the White Mountains in New Hampshire give us a call. We will beat your expectations of how a hotel in New Hampshire can be and make your stay as memorable enough to return. Thank you to our past guests!  We look forward to your next visit to the Old Field House or our other properties.